I might be obsessed with my iPhone. I really love it. I'm an Apple girl and the phone just ties it all together. When I run, I have my phone with me. For safety. For selfies and other photo ops. And for GPS. And now, I get to use it as a heart rate monitor and stride monitor. My mileage is creeping up there again with marathon training and I want to make sure I'm running efficiently. When the TICKR Run first showed up, I had an iPhone 4. Sadly, my phone was not new enough to work with the TICKR. 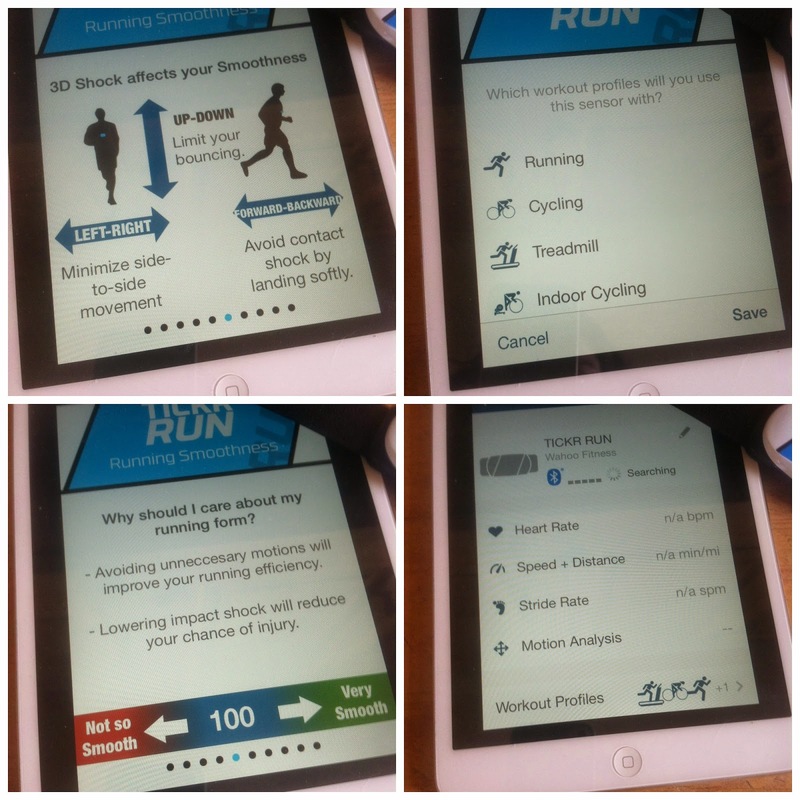 I was able to download the app on Ward's iPad mini and use it while cycling. But I really wanted to try it out for running. There was no way I was going to go for a run with the iPad, so I sadly put the TICKR aside until I recently upgraded to the 5c. Now I get to use the smoothness and stride features!!! Using the TICKR Run with your phone is incredibly easy. Just download the app, connect your sensor (the heart rate monitor), and then record a workout. The app is quite easy to maneuver around as well. You can set the laps to miles or do you own intervals. It's quite easy to just press the lap button the bottom of the screen. One more thing I like about the Wahoo TICKR Run. 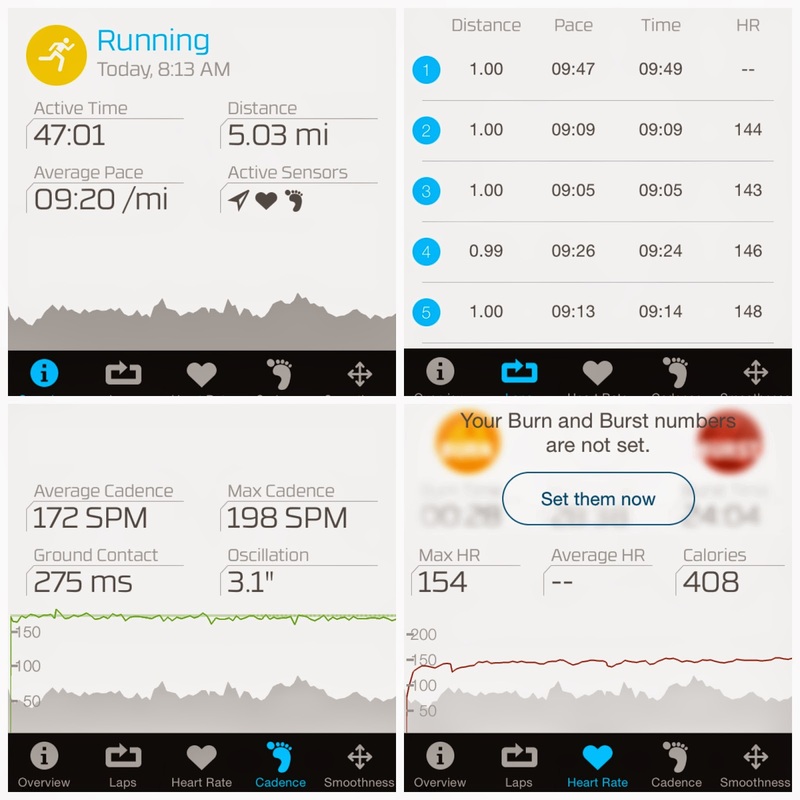 Just before my run this morning, one of my running pals posted about a new app - called the Outsider. Not knowing much about it, I had to check it out. 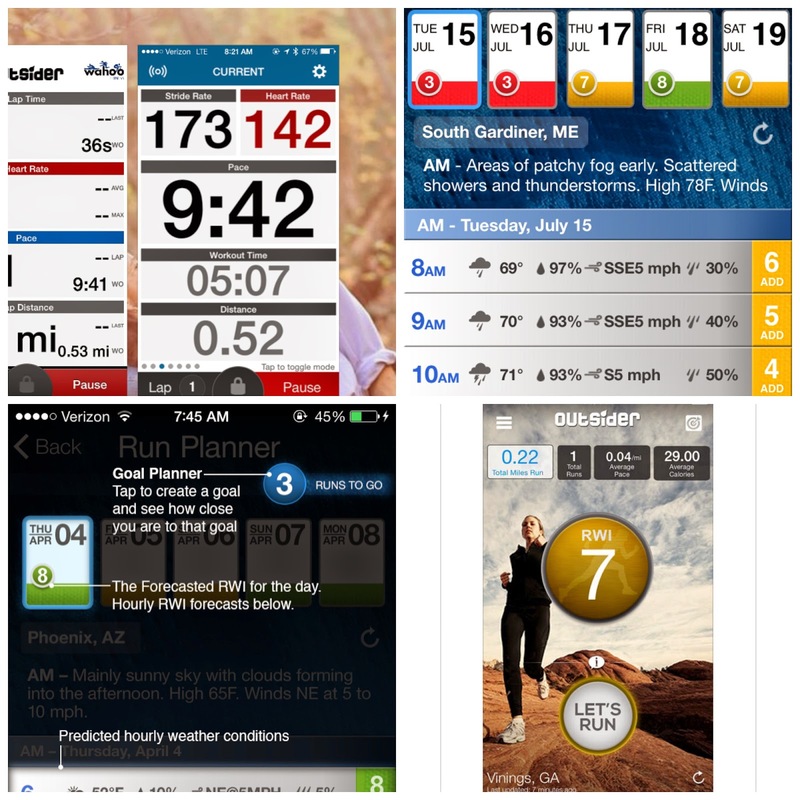 The Weather Channel and Wahoo Fitness partnered up to create an app that calculates the best time to head out for a run (taking into account factors like temperature, heat index, pollen count, air quality, wind direction, etc.) It gives you a scale of 1-10 (10 being the best time to run) as well as weather for a 10-day forecast. Plus this app is FREE! Currently it's only available through iPhone, which is okay with me. And it pairs up with the Wahoo Fitness app. So cool! 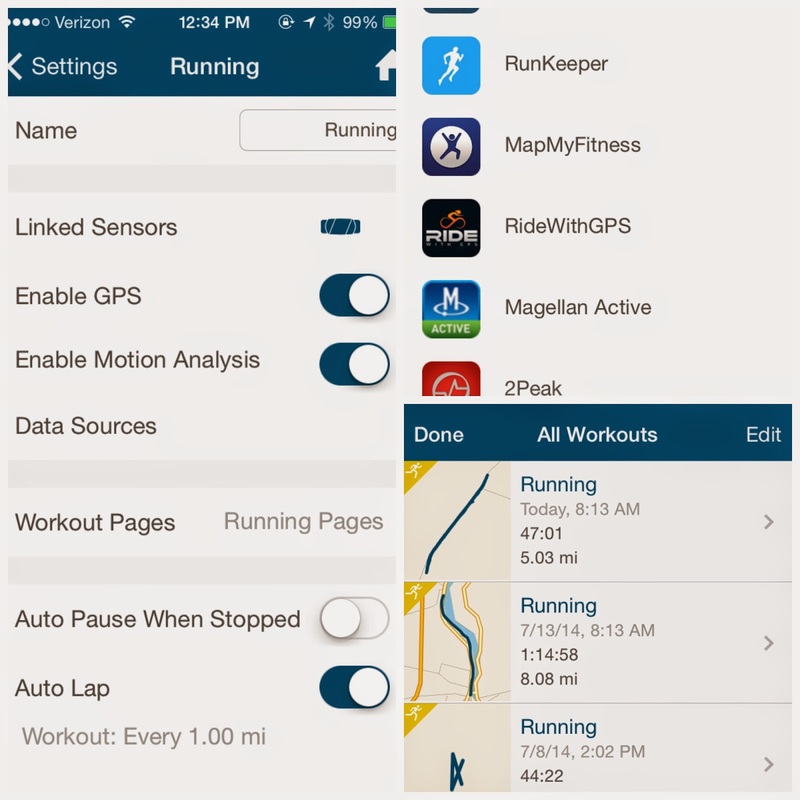 How do you track your mileage? Do you both with heart rate? Cadence? disclaimer: I was offered the TICKR Run by Wahoo for the purpose of a review and was not compensated. As always, all opinions expressed on my blog are 100% my own. 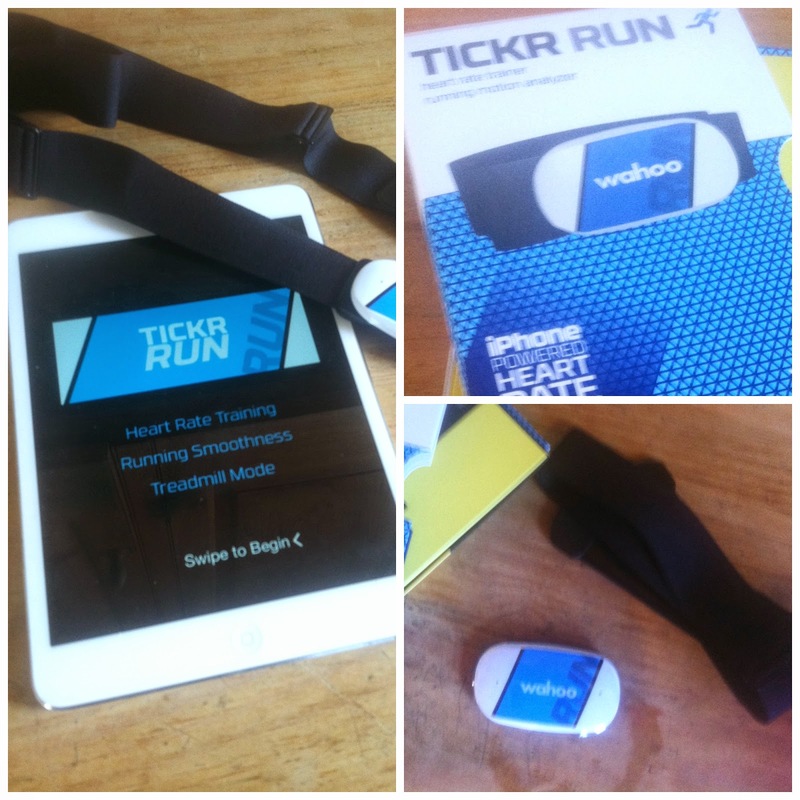 Cadence GPS Heart Rate Monitor Outsider Stride TICKR Run Wahoo Weather Channel. I nominated you for the Very Inspiring Blogger Award!